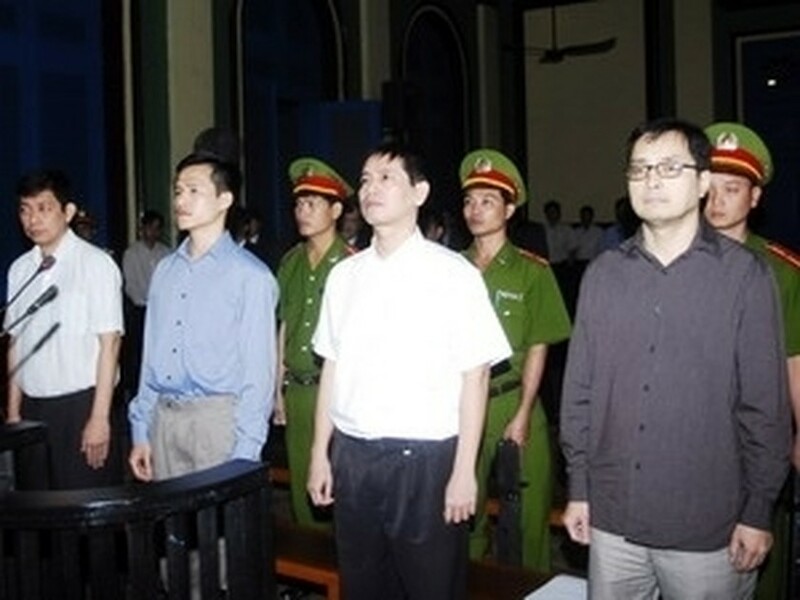 A Ho Chi Minh City court of appeals on May 11 upheld jail terms for two men convicted of “working to overthrow the people’s administration” and cut another defendant’s sentence after his appeal for clemency. The court, under the Supreme People’s Court in HCM City , confirmed a 16-year sentence for Tran Huynh Duy Thuc, and five years for Le Cong Dinh. However, it reduced the sentence for Le Thang Long to three and a half years from the original five. Another defendant involved in the case, Nguyen Tien Trung, who was sentenced to seven years in prison at the first-stance trial, did not appeal. All the four defendants will be kept under surveillance by local authorities for between three and five years after serving their sentences. Speaking in defence for himself at the trial, Dinh again admitted his guilt, showed repentance, and begged for a reduction in his sentence. But the jury said the lower court had applied mitigating circumstances for the defendant and the sentence was lighter than the proposed one, therefore it could not further reduce the sentence. The Supreme People’s Procuracy’s representatives reiterated that Thuc wrote documents and disseminated them via blogs and emails, in which he blackened the Vietnamese Party and State, and called on people to gather which constitute an attempt to overthrow the administration. The jury said in conclusion that the case is a very serious one in which the defendants had infringed national security.